An innovative Aberdeen transport facility has reached a major milestone. The city council’s hydrogen production and bus refuelling centre – the first of its kind in the UK – recently made its 1,000th refuel. The centre, based at the council’s Kittybrewster depot, opened in March and provides fuel for 10 hydrogen fuel cell buses, the largest fleet in Europe. The buses only emit water vapour, which reduces carbon emissions and air pollution, as well as being quieter and smoother to run than diesel vehicles. Councillor Barney Crocket, chairman of the authority’s European hydrogen and electro-mobility projects, said: “This is a major milestone for the project and it’s great to see the 1,000th refuel at the station at Kittybrewster. “It is fantastic for the city to be at the forefront of this project and helps to solidify our reputation as Europe’s energy capital. 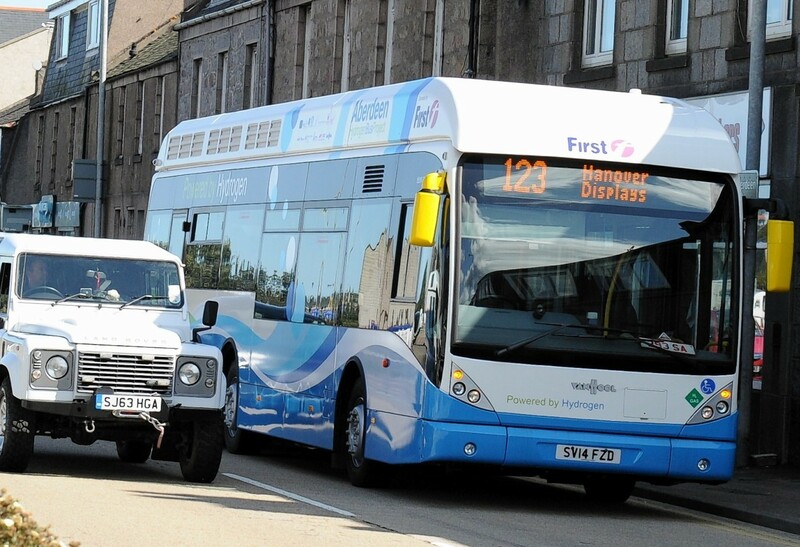 Six of the buses are operated by Stagecoach on the X17 Aberdeen city centre to Westhill route, while First Aberdeen operates four on the X40 Kingswells to Bridge of Don park-and-ride route. The project is part of the council’s £19million green transport demonstration scheme.